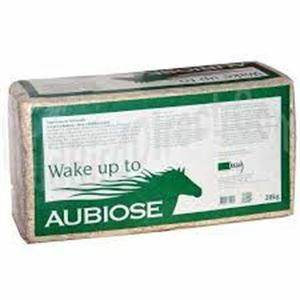 Aubiose is a completely different type of horse bedding and should provide you with savings in time and labour if it is managed properly. The bedding works by soaking up liquids in a small area, at the base of the bed. The capped layer that forms over this saturated material reduces the chance of wet bedding being mixed in with the dry. The top layer of the bed remains warm, soft and dry for the horse. 100% natural, organically cultivated hemp. Waste management is high on the list of priorities to protect our environment and Aubiose contributes greatly to the environment as it completes it's own 'life cycle loop' naturally. Aubiose is a 100% natural material, which composts readily without the need for added composting agents. For this reason farmers and gardeners love it. Furthermore, Aubiose is an annually renewable resource, which can be traced back to the field in which it was grown! Most importantly Aubiose is good for your horse, providing a clean, natural and healthy stable environment giving extended nights for him and extended days for you.